With the elegant and nicely balanced Transocean Day & Date Breitling celebrates the spirit of the classic long-haul airliners. The polished steel case houses the self-winding Breitling 45 calibre with a power reserve of 40 hours. 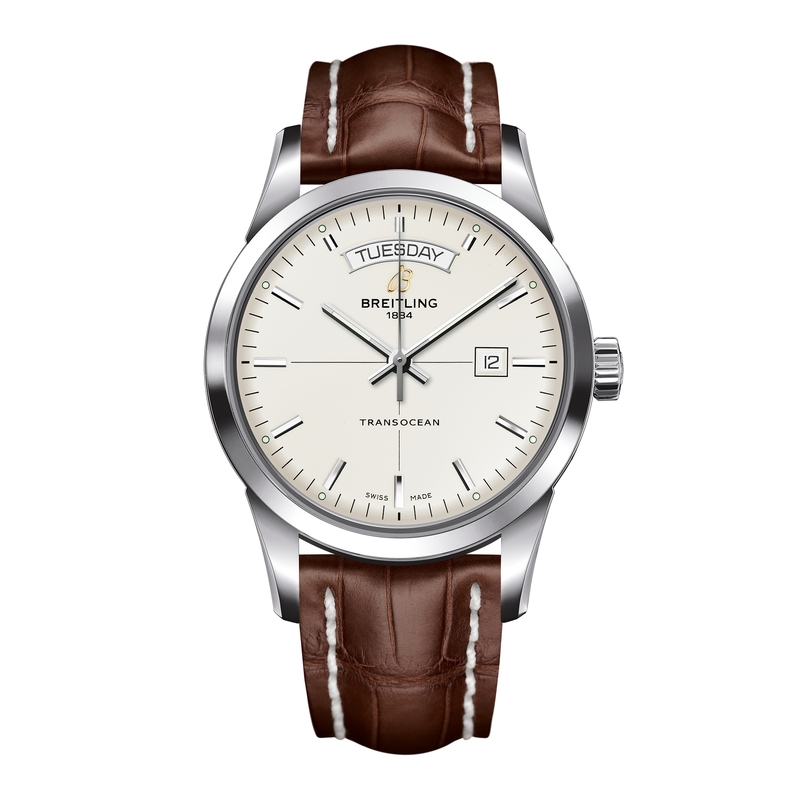 The timepiece features a mercury silver dial with an arched day window at twelve and a date aperture at three o'clock. The applied silver tone indices are highlighted by luminescent dots. A brown leather strap with a pin buckle adds the finishing touch.